To create heat flow by harnessing and using thermal energy, for eco-friendly heating. For a space that will be alive with the sounds of nature outside. The heat pump is a devise used in compressor powered heating and cooling units. In Toronto especially, where extremely harsh winters can cripple the desire to go about one’s daily life, it is a boon to have a heat pump that drives the heating system. Further, with the use of thermal energy, this system speaks of energy efficiency and effective heating at its very best. While the energy may come from the natural environment outside, the heating is realised only indoors so as to reduce the degree of emissions. With Home Star, the heat pump is a specially designed mechanism that helps you relax in a specially created environment with regulated temperatures and a climate control feature that is unparalleled. It applies to both cooling and heating modes with outdoor compressors on especially big units. That’s what we call comfort in technological design! 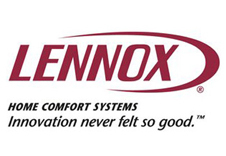 Lennox heat pumps are precise and efficient used in heating and cooling units. The SilentComfort technology ensures quiet and precision during operation. Renewable energy options allow you to keep the energy bills to a minimum. 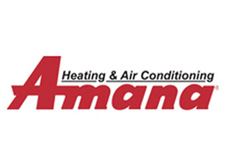 We bring you Amana heat pumps featuring the SmartShift Transition Control that makes the compressor more reliable. The intelligent operation of this feature ensures you soundless functions, while you enjoy the warmth even below freezing points.